It’s Amazons versus Valkyries! Years before the birth of Princess Diana, a group of Amazons set out on a globe-spanning quest to find others of their kind. It’s up to their leader, Hessia, to keep them together through the many trials that lie ahead. 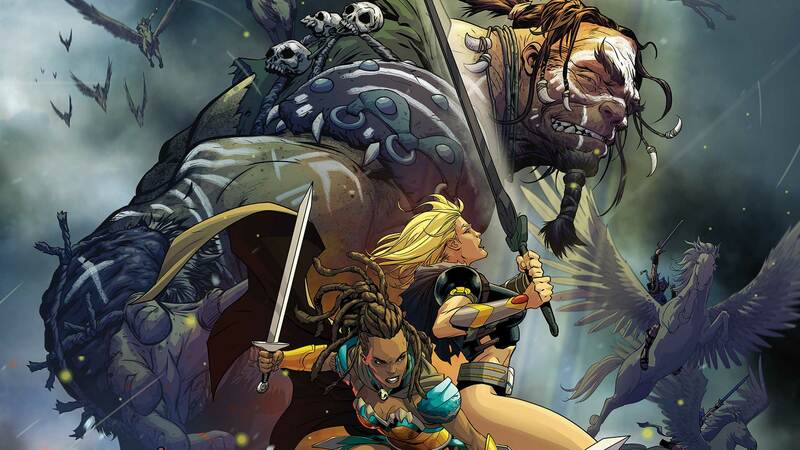 Hessia and her warriors are closing in on the Storm Giants who hold their comrades prisoner when a group of fierce Nordic female warriors misinterpret their intent and launch an all-out assault. What happens when an Amazon ends up in Valhalla? Collects ODYSSEY OF THE AMAZONS #1-6.